Gallery Furniture Delivers Out Of State! In Texas, we hold community close to our hearts. Neighbors help neighbors, and we greet strangers with a smile. Gallery Furniture and Mattress Mack prove that actions speak louder than words everyday. Giving back to the community through our Annual Christmas Giveaway, providing assistance when disasters hit across the country, and many more outreach programs solidify our belief that “The Unity In Community Gets The Job Done!”. It is in that spirit that Gallery Furniture continues to do business. While it is well known that Gallery Furniture Delivers TODAY! within the Houston Area, our great friends outside of Texas may not be aware that the same great delivery service can be provided across America! While it is not guaranteed, most deliveries can be made within a week! 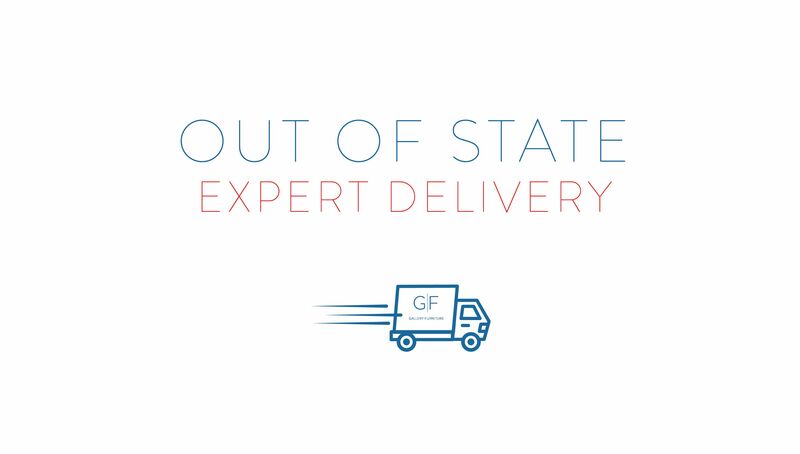 In every state of the continental United States, our great friends like you can expect the Gallery Furniture experience that we are known for from start to finish. A standard of professionalism and customer focused service that may just be the best part about buying your furniture at Gallery Furniture. A professional and punctual Gallery Furniture Professional Delivery Team who will bring your new furniture into your home, set it up, and leave without making a mess. A 6 hour window during which your delivery team will arrive, and a call 30 minutes to an hour ahead of their arrival to let you know your delivery is on its way. Your delivery crew is directly accountable to Mattress Mack, not a third-party service and when the delivery is finished you will be asked if there is anything else they can do for you, from walking your dog to mowing the lawn. When you purchase with Gallery Furniture, you become a part of our Gallery Furniture family. From incredible service to individualized care, you can expect the best from our team each and every time. Experience the difference TODAY with an online order of stunning Made in America furniture, mattresses, and more and see why Gallery Furniture is “The World’s Most Famous Furniture Store”!